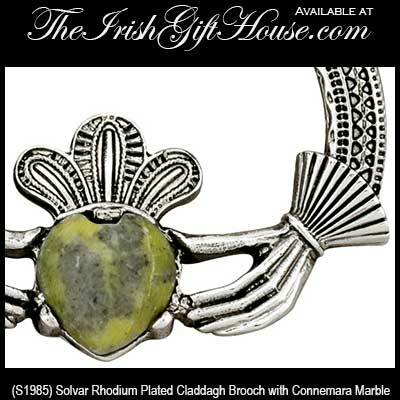 Connemara marble jewelry is as Irish as you can get as this marble, with its unique green color, can only be found in a secluded area in western Ireland. 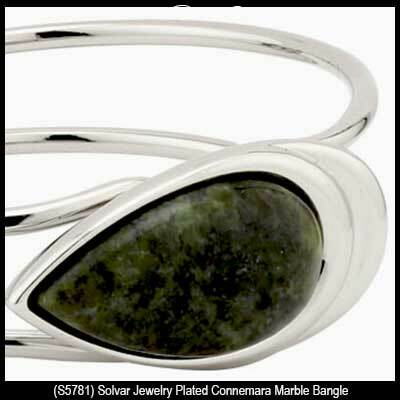 Our range of Connemara marble jewelry includes selections of earrings and bracelets along with rings and necklaces. 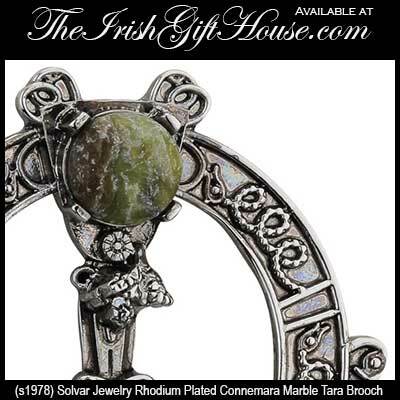 The extensive collection at The Irish Gift House features Irish and Celtic icons that exhibit the shamrock and the Celtic cross along with the Claddagh and the Trinity knot. 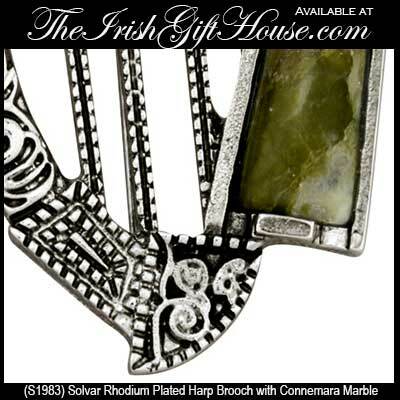 Among this Irish jewelry you will find Connemara marble added as accents or as the main feature of the respective piece. 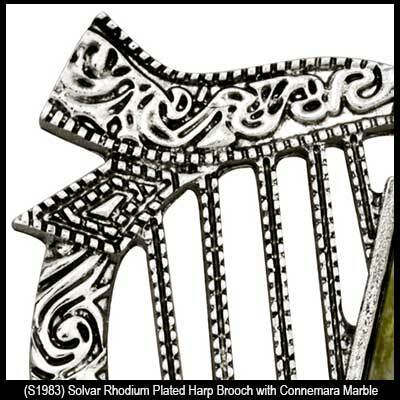 Connemara marble is referred to Ireland's gem stone as it is a very distinctive and rare form of marble that can only be found in Ireland. Estimated to be over 600 million years old, it is the presence of various natural elements in the limestone that gives Connemara marble its rich and beautiful colors. This beautiful stone offers a range of color tones, from the lighter, paler shades of green, all the way to rich dark emerald tones. No two pieces of Connemara marble are ever identical as it is a natural stone. How fitting for Ireland that one of its natural treasures is the only green marble known to exist! Connemara Marble is thought to bring serenity to those who keep it close. 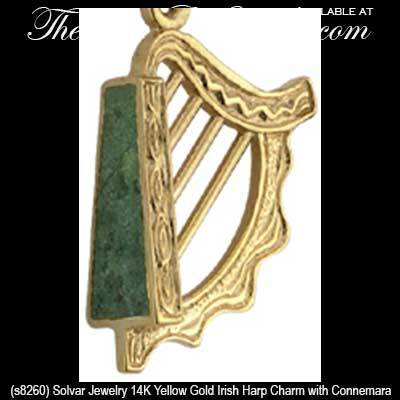 Connemara marble jewelry is grouped by design in the above specific categories or you may scroll down to see all our selections in one place. Sterling silver Connemara marble bracelet features links that are enhanced with marcasite stones. 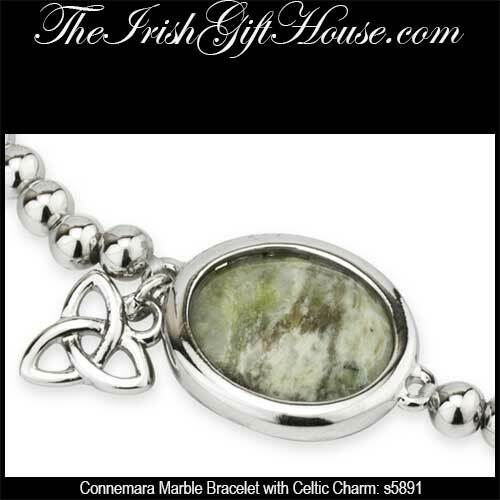 Sorry, this Celtic Connemara marble bracelet is now sold out. 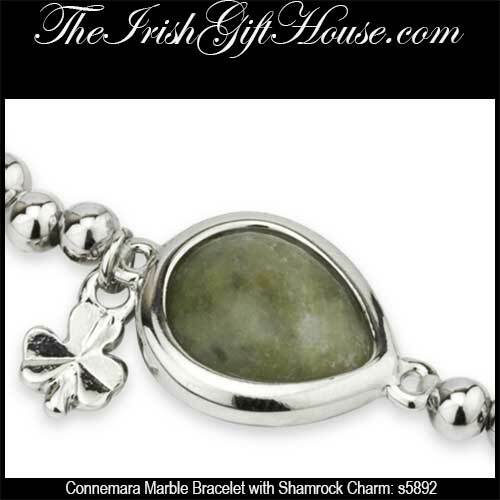 Connemara marble bracelet features sterling silver marquise shape links. Connemara marble bracelet is enhanced with garnet stones along with silver plated over pewter beads that feature Celtic knot-work. 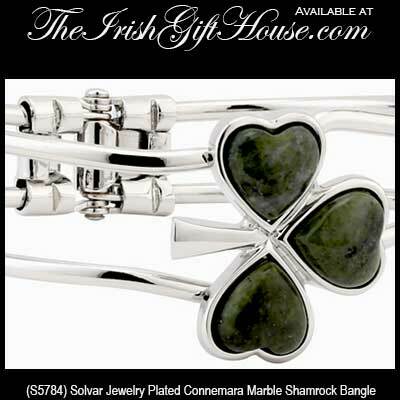 Connemara marble bracelet is a plated stretch design that is enhanced with a shamrock charm. 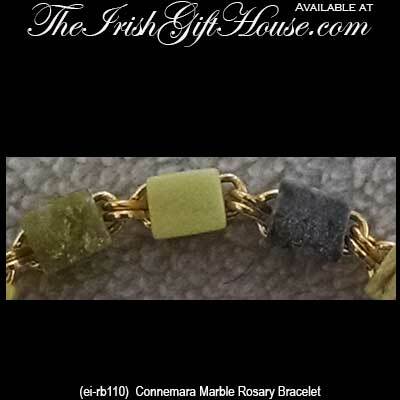 Connemara marble bracelet is a plated stretch design that is enhanced with a Claddagh charm. The green Connemara marble is found exclusively in western Ireland and you may find it interesting to know that Ireland also has claim to the only known deposits of black Kilkenny marble. You will find our Kilkenny marble jewelry accenting bracelets along with necklaces and earrings. 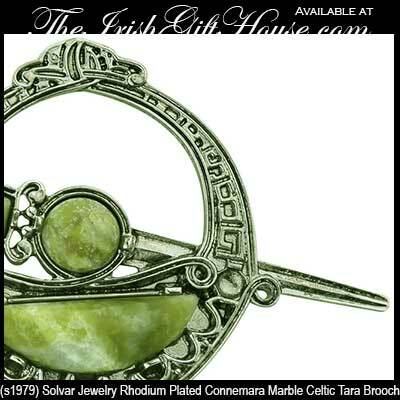 You will find a large selection of Connemara marble crosses within this colossal range of Irish jewelry along with many Connemara marble necklaces that feature the shamrock along with the Claddagh and Celtic knots. 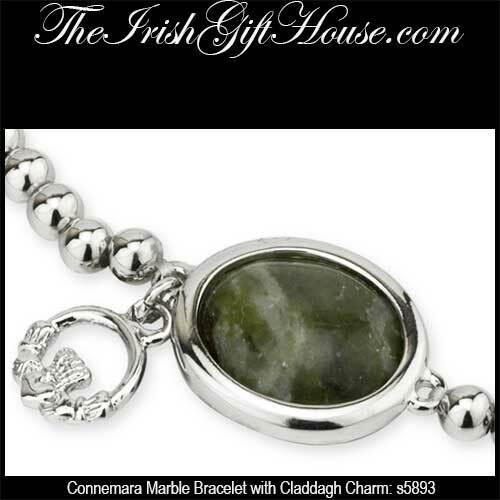 You may wish to compliment your necklace selection with a pair of Connemara marble earrings and even a beautiful bracelet. 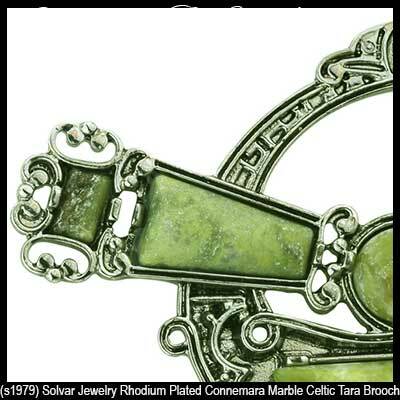 While you are visiting this section of Irish jewelry at The Irish Gift House please browse our collection of Connemara marble rings and create a complete ensemble. 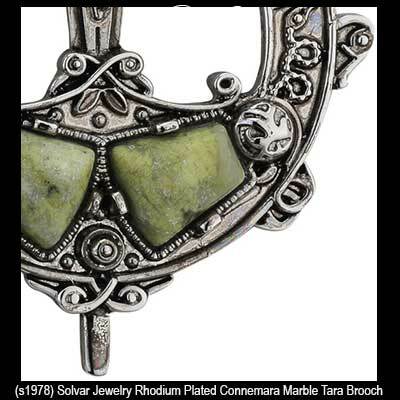 And remember that a Connemara marble brooch can be the perfect accent to any blouse or jacket. 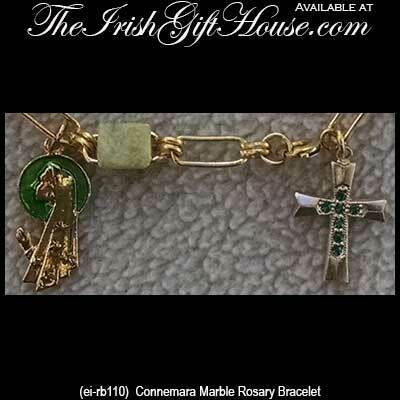 Last, but not least, is our selection of hand crafted Connemara marble rosaries. We do have additional selections of the Irish rosary, but the assortment with these natural green stones may be considered our finest. 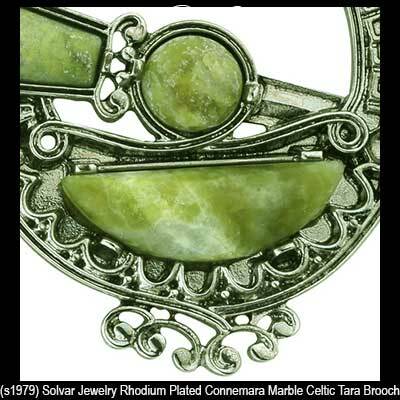 This collection of Connemara marble jewelry is crafted in Ireland by fine designers that include Solvar and All That Glisters along with J.C. Walsh and Sons and O'Connor Jewelry.